Hello, my dear readers. Whoa, what a week! So many news, releases, so many interesting things happened, it is amazing. Again, as I cannot leave out any events, as they seem all important, I decided to go on with recapping all 7 of them. If you missed last week, you missed a lot. But still, check it out. We wanted to have a new poses available for our dolls, and Stardoll gave us these. Basically, the clothes cover some of your body parts, and the clothes itself have arms or legs added to them, so they look like our doll is holding a cup of coffee, waving, holding a coat, etc. What we did not expect was that the pieces would be limited and quite expensive. What I did not expect was that the collection would be that popular. Some items, (especially the blue jeans) sold out really fast. People were offering to pay maximum price for items, even the day after the release. Many were mad they missed some items. I was really lucky that I got back from college earlier and managed to grab them all, as I had some saved up stardollars. I am pretty sure this won't be the last collection of this type, considering how popular was it, even with the high prices. Hint for future releases: buy as much as you can! The same day, Stardoll announced a 3 for 2 sale in starplaza. Good idea. Or is it? Didn't we have a sale recently? Yeah, it is a nice deal, but I prefer 50% off sales. The reason - I can buy only 1 item and save some stardollars, and not having to buy 3 items. You also have to watch out when buying, plan carefully to save as much as you can. Also, sale makes us go to starplaza and buy stuff. But do we really need all those items, or just buy them because they are on sale? Also, anyone remembers when only some items from the store were on sale, and they would leave the plaza after the sale was over? That way Stardoll would get rid of clothes that have been in stores for a long time. 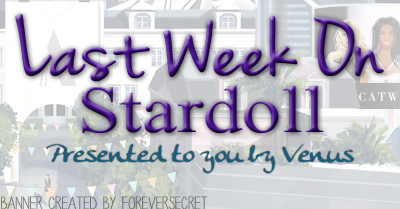 But now, there are many items that have been in starplaza when I started playing Stardoll, which was over 5 years ago! 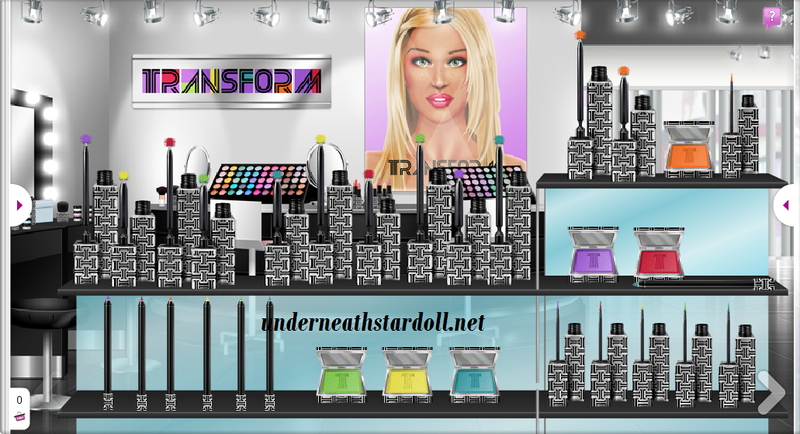 As I recall, Transform was supposed to be a make up collection consisting of natural colors, pastels. Dot was meant as colorful store. Now we have make up like the ones in Dot, only with higher prices. Yeah, I know it is a Carnival theme, but not everyone wants to dress accordingly. Especially not with these prices. New Callie's Picks collection, quite interesting one though. Yeah, those are costumes. There are some quite rare items, interesting items, pretty items. I also loved wigs. Especially the fairy wig, and a mermaid outfit, (which I already owned, but nevermind). A treat for guys on Stardoll too - a Joker costume. I wish only there were at least 2 floors, as there are so many costumes I want to get re-released. I guess we can wait for Halloween. If the store remains by then, of course. Stardoll decided to give a treat to fashion designers on Stardoll, by releasing new stardesign templates. The mask is nice, and I'd like to see some designs of it. Jeans are similar to the ones we already have, and the tee is similar to ones from the last LE collection. Bag is cute too. Still, it would take me some time deciding to buy a designed item, as I am not really a fan of stardesigned stuff. Except the hairs, I love buying new wigs. I don't really care about the dress or shoes, but wings.. I collect wings, and I was sad to miss them, as I already purchased a ss membership on Monday and did not want to spend anymore money. But now seriously, do we really need more offers? Weren't there too many of them last month? More than usual, at least. Nice for people who want to spend that much money on an online game, but honestly, I prefer buying real clothes in real life. New interior store on Friday - Fashion Furniture! The sofa is fantastic, like nothing we ever had before. The stairs look great too. Interesting pattern for a carpet. And a coffee table. I like everything. And I'd love seeing rooms made using those pieces. So vote on the poll, and see you next week.